What do you make time for in your day to day life? Work, devotions, music, God, family, education? Generally, we make time for the things that we value. One of our highest priorities is to make time for learning. Many subjects vie for the time that is available. History, Science and Art are the easy favorites in our house, so we have to purpose to make time for the less desirable, Mathematics and Writing. Time always seems to be in short supply. I still teach my children how to look up a word in the dictionary, but I appreciate the ability to type that same word into a browser and have a definition in just seconds. I appreciate crock-pot cooking, as opposed to standing over a stove, but I’m not fond of the microwave, even though it’s quick. I appreciate time-saving choices. One of my choices is Time4Writing. I think this is probably marketed as “Now is the Time 4 Writing,” but to me it is, “Helping you Make Time 4 Writing.” Time4Writing provides 8-week, online writing courses with certified teachers. Courses are available for Elementary, Middle School and High School/College Prep students, covering the basics through advanced essay writing, SAT essay writing and writing research papers. Each course costs $99. Each course is student paced. The student signs into the lesson and completes the assignments given. These are not video lessons. They are written and read by the student, reinforced by writing assignments and multiple-choice quizzes. Tests are marked and comments written by the teacher, with the opportunity to correct and improve the grade. I think this keeps the focus on learning and retaining the material, not on the grades obtained. The parent is sent reports of every correspondence between the teacher and the student, and detailed reports of the assignments completed and test scores earned are available. This system worked especially well for both of us. I read reports and watched progress, but otherwise my time was not used for this course. My daughter broke her ankle at the beginning of the course. The pain and the medication she needed put her behind on her classes, but once she was feeling better she was able to make up the time. She would work on lessons in the morning and then do an extra one in the evening. Her teacher was attentive and helpful, even offering to extend her course time by a week, if it became necessary. Although, the courses are a little costly to our homeschool budget, and I do wish they had a greater than 5% multiple users discount, the benefit of time gained was worth the price to me. I hope to enroll her in the SAT essay writing course, soon. 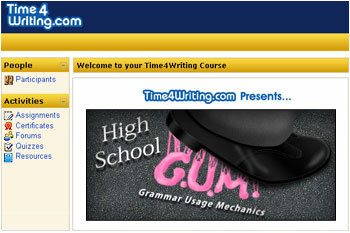 There are numerous Free Writing Resources at Time4Writing.com. I hope you’ll use the links I’ve provided throughout this post to gather more information and utilize the resources available. You can also read the various reviews written by my Crew mates, when you click the banner below. Disclaimer* I was given access to an 8-week online course from Time4Writing in exchange for my honest review, as a member of the Schoolhouse Review Crew. I receive no other compensation for my reviews on this blog. The opinions expressed are my own. A couple of my daughters write music and lyrics. Often, if they sing a new song, one of the first questions one of us asks is, “Did you write that or did someone else write it?” We appreciate knowing the origins of music and learning the back story. Mr. Pipes and the British Hymn Makers, is a story about “two young teens who, while on vacation in England, are befriended by an elderly English gentleman called Mr. Pipes.” Annie and Drew first meet Mr. Pipes when they’re drawn into an old cathedral by music. Music that is being played on a pipe organ, filling the cathedral with grandeur, as Mr. Pipes calls it. It is unlike any music they’ve heard before. Through the summer, Mr. Pipes gives them fishing lessons and rowing lessons, teaching them patience and perseverance. He tells them stories about British hymn writers, their life and times, and music. He shows them the value of traditional praise and worship. Mr. Pipes and the British Hymn Makers, written by Douglas Bond and published by Christian Liberty Press, is the first book in a series. It is available in print, and also conveniently as an e-book, presently on sale for $8.79. The complete 4-book set can be purchased for $38.99. This book is living literature. I read it aloud to my children, because I wanted several of us to hear it at one time and be able to discuss it. It is written for 7th through 10th graders, but 7 years old through adult comprehended it just fine. It is rich in historical facts and you’ll find nuggets of Scripture throughout. 487 pages cover the hymn makers: Thomas Ken, Isaac Watts, Charles Wesley, William Williams, John Newton, William Cowper, Augustus Toplady and Thomas Kelly, and John Bunyan, plus Scottish Hymn Writers, Anglican Hymn Writers of the 19th Century, Women Hymn Writers, and additional British Hymn Writers. You’ll also find Further Reading at the back of the book. I chose to print this book, double-sided on standard-size copy paper, put each page in a clear protective cover and place it in a three-ring binder. I made extra copies of the few illustrations, sketches that are in the book and used these as coloring sheets for my children. I also created word puzzles to correspond to each specific hymn writer, and had them draw pictures of the story, as I read it. There are also numerous YouTube videos to watch that gave them a clearer picture of a place or a thing, like a pipe organ. We really like this book and I hope to purchase the rest of the set, so we can continue the adventures of Mr. Pipes and his friends. To read other reviews, written by my Crew mates, click the banner below. Disclaimer* A PDF copy of Mr. Pipes was given to me free of charge, in exchange for my honest review, as a member of the Schoolhouse Review Crew. I receive no other compensation for my reviews on this blog. The opinions expressed are my own. Have you ever asked any of these questions? When asked, can you answer your child, your spouse, your friend or neighbor? These are the five most consequential questions in life, and most people, even the majority of Christians cannot give Biblically-based answers for the hope that we have. Many good books have been written to address these questions and the multitude of others posed by believers and skeptics alike. Is there such a thing as truth, and can it be known? Who made God? Does similarity of design prove a common ancestor or a common designer? Is Moral Law undeniable? Do we see Biblical miracles today, and if not, why? Why can’t all religions be true? Is the New Testament reliable? Did Jesus really rise from the dead? Was he a mere prophet, The Son of God, or a madman? The one book I have found to address each of these questions is I Don’t Have Enough FAITH to Be an ATHEIST, by Norman L. Geisler and Frank Turek. 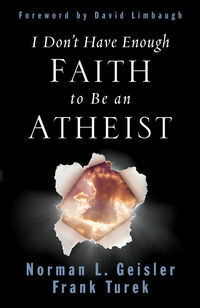 Personally, in reading I Don’t Have Enough FAITH to Be an ATHEIST, I was surprised at the level of blind faith it takes to be an Atheist, especially in light of the logical and reasonable path to belief, in Jesus Christ, that is cleared by Geisler and Turek. Apologia has stepped up to make this a full Apologetic Curriculum, by publishing an exhaustive workbook based on the book. I Don’t Have Enough FAITH to Be an ATHEIST Curriculum is an oversize, spiral-bound book, written by Frank Turek and Chuck Winter. “It presents supplemental material, study questions, and activities designed to encourage personal reflection and discussion and build writing skills.” It is suggested that two to three weeks be spent reading each chapter, and completing the study questions and assignments. Because of the flexibility of this course, it is our intention to spend about a week on each chapter, the first time through the book, but then to read it again, reviewing the notes and answers we recorded the first time. My girls and I agree, “We want to be able to make a defense now, not 9 months from now,” which is the amount of time it would take with the original course plan. I have browsed through the entire curriculum, but have not had much opportunity to use it, yet, because of a delivery issue that delayed the arrival of my book. The book can be read alone, but the curriculum guides you through an in-depth study and must be used in conjunction with the text. For every chapter in I Don’t Have Enough FAITH… there is a corresponding chapter in the Curriculum workbook. Each chapter is divided into four main sections. Hook – “Questions that Grab Your Mind” and stimulate your brain for learning. Book – “Facts in This Chapter” promote a deeper study and testing of comprehension and retention of the material. Look – “You Do the Digging” is suggested assignments that prompt you to “question with boldness,” as Thomas Jefferson said, and not just take the author’s word for it. Took – “What Do I Do Now?” leads you through a summary and possible applications. This workbook is consumable, but because I plan to use it with several students over the next few years, we’ll use personal notebooks to transcribe the questions and write our answers. There is a Glossary of Terms at the back of the book and every answer to every question in this study is provided in a downloadable Answer Key. I did use one of the highlights of the workbook weeks before the book arrived. In each lesson there are profiles of historical people or topics that are mentioned in the book, fascinating pages that give insight to, St. Augustine, Friedrich Nietzsche, David Hume, Isaac Newton, Nontheistic Religions, Clement of Rome, Mother Teresa, Biblical Archaeology, and more. I read every one of them! I’m excited to work through this study! I want to be ready to tell anyone, at any moment, of The Hope that I have within me. My enthusiasm has piqued my husband’s interest, and I can say without doubt, that this will be required reading for my children. I Don’t Have Enough FAITH to Be an ATHEIST sells for $16.00, and the I Don’t Have Enough FAITH…Curriculum can be purchased for $33.00. There are also optional DVD’s available that correlate directly to the book. If you have questions or comments, please CONTACT Apologia. Thanks to Apologia, teaching the essentials of the Christian faith is much easier for me than it once was. I have previously used and reviewed the first three books in their What We Believe Series: Who Is God? , Who Am I? , and Who Is My Neighbor? I also appreciate their Resources for Parents, especially Educating the WholeHearted Child. You can read additional reviews of this book and curriculum, written by my Crew mates, when you click the banner below and follow the link. Reading this book will give you the knowledge and the courage to answer life’s big questions, whether they’re your own or someone else’s. Disclaimer* A copy of I Don’t Have Enough FAITH to Be an ATHEIST, and the Curriculum by the same name, was given to me free of charge, in exchange for my honest review, as a member of the Schoolhouse Review Crew. I receive no other compensation for my reviews on this blog. The opinions expressed are my own. Thank you for sharing your thoughts with me. You’ve heard the African proverb, “It takes a village to raise a child.” Well, in my case, it would seem that it takes a city to raise a speller. Many of my children are good readers, but that doesn’t make them all good spellers. They often face a predicament not unlike the creator of Winnie-the-Pooh, A. A. Milne’s, “My spelling is Wobbly. It’s good spelling but it Wobbles, and the letters get in the wrong places.” I have searched for and tried different ideas, games and disciplines, to teach spelling, with most ending in discouragement, until now. VocabularySpellingCity.com is an educational, fun, remarkably successful in-our-household, interactive, game-based website! It works! It’s affordable! Please, pardon my bit of gushing enthusiasm, but I assure you I am quite sincere. We will continue with this program until my last child enters college! The VocabularySpellingCity mission: efficient game-based study of literacy skills using any word list. When you choose to upgrade to a 1-year Premium Membership, where families can register up to 5 children, for the reasonable price of $29.99, you’ll reap the benefits of full access to VocabularySpellingCity.com. I have created lists for my earliest learners through college-prep age students: Sound-Alike Words, Number Words, Months of The Year, Three-Letter Words, Six-Letter Words, 500 SAT Vocabulary Test Prep Words, Biology Words corresponding to a Zane Education course, and several others. As the parent/educator, it takes me just minutes to set up a week of assignments that will be taught, graded and tested by the program! It’s easy, and it allows this busy momma to teach and trouble shoot other subjects. The website for VocabularySpellingCity.com is easy to navigate. I’ve included several links to it in this post, and I hope you will thoroughly explore the marvelous potential it holds for you and your students. As always, you’ll find well-written, honest Crew reviews of this product when you click the banner below. Disclaimer* 12 months Premium membership to VocabularySpellingCity.com was given to me free of charge, in exchange for my honest review, as a member of the Schoolhouse Review Crew. I receive no other compensation for my reviews on this blog. The opinions expressed are my own. Instilling a desire for The Lord’s blessing, and teaching the steps that one might take to receive it, is of the utmost importance to me as a parent and home educator. Presenting a consistent, Biblical worldview to my children is a priority in my life and home. Next, I am responsible to see that they are academically equipped to be their best self. Teaching them the fundamentals of reading, writing and arithmetic, or finding the resources that can. Vocab Videos are designed to build literacy, improve reading comprehension, and raise test scores. A vocabulary word is printed on a blank screen, with the definition, and it is audibly read. A video demonstration of the word and it’s meaning is presented. Finally, the word and definition appear on the screen again, and a narrator audibly uses the vocabulary word in a sentence. There are 11 videos in the Series, 25 total episodes, that include 20 (30 second – 1 minute) clips each; covering 20 words per set. The videos now play on mobile devices and tablets, in addition to the PC and laptop. When you browse the website for Vocab Videos you’ll find that they’ve included access to Digital Study Tools that aid students in their retention of the words and their meanings – Digital Quizzes, Flashcard Maker, Digital Worksheets, Glossary of Words, and Crossword Puzzles. There are also Teacher (Parent) Tracking Tools that can be set up for each student. An Individual Student Subscription starts at $24.95 for 6 months and is full access. A Small Educator Account, for 1 – 20 students, is just $74.99 for a 12-month subscription. 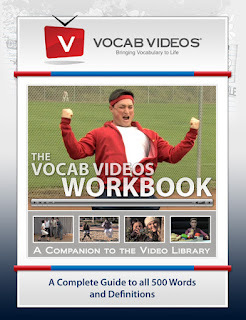 The Vocab Videos Workbook, used for review and reinforcement, is a companion to the videos. It can be purchased for $11.99. It is evident that so much work and creativity has gone into each video clip. The concept, no doubt prompted by a genuine desire to help students, is fantastic, but the execution falls short of my expectations. As the conservative, Christian parent that I am, I am devoted to teaching my children to follow Scripture, “Do not be conformed to this world, but be transformed by the renewal of your mind…” The “be in the world, but not of it” school of thought. These videos are based on parodies of supposedly popular TV shows and movies: Lost, The Office, 24, Gossip Girl, Rocky, and only after a Google search of “horror character in hockey mask” I believe, Jason, from Friday the 13th. Granted, this might be culturally entertaining to some, but the majority of it is unacceptable to me and I am quite disappointed that it is the basis for the video series. I am definitely looking for a way to improve my student’s SAT scores. Knowing that Vocabulary is worth up to 150 points on the SAT, I was excited to use Vocab Videos with my high school and college age children. In hindsight, I am thankful my 13-year-old daughter was not scheduled to use this program until next semester, so she was spared the inundation of inappropriate visuals. My 22-year-old daughter said, “There are other ways to learn vocabulary words. It’s not worth it to have to watch that!” We don’t use language like this and we don’t watch shows like the ones depicted by these Vocab Videos. and put devious talk far from you. and your gaze be straight before you. then all your ways will be sure. The videos are designed to help memorization, often by viewing them repeatedly. These pictures are not ones that I want imbedded in any of our minds. I highly recommend that YOU utilize the 1 month FREE trial to determine for yourself, whether or not Vocab Videos is a good fit for your family. Personally, I’m looking for education without compromise, and I cannot justify using this program. Let me remind you though, that the Crew is a diverse group of individuals with varied opinions. I encourage you to click the banner below to read their reviews of this acclaimed program. Disclaimer* 12 months access to a Small Educator Account of Vocab Videos was given to me free of charge, in exchange for my honest review, as a member of the Schoolhouse Review Crew. I receive no other compensation for my reviews on this blog. The opinions expressed are my own. Thank you for reading, today. I appreciate your comments. On this day, August 15th, 1912, Peter Calvert Leary Hodgson was born in Montreal. He grew up to be an American marketing executive and entrepreneur. It is my intention, to introduce Mr. Hodgson to my children, today. Then, I’ll have one of the older ones look up his name on the PC and research his history. They’ll write highlights of his life and their younger siblings will read them. Do you know what they’ll discover? Peter Hodgson named Silly Putty. It is only on very rare occasions, for a severely limited amount of time, that I allow Silly Putty in my house. It reminds me of chewing gum, which is also normally banned, because it inevitably ends up in the worst places! Today, to the utter amazement of my children, we will make homemade Silly Putty. Mix well. Let dry slightly to become workable. Store in an airtight container. Mold it, stretch it or bounce it, and transfer ink from newsprint. 2 tablespoons Glue and 1 tablespoon of Starch make a good amount to fill a plastic “Easter” egg; mimicking the egg that Silly Putty comes in, when you purchase it. With ease and delight, we will spend time on the Who, What and Where of History, strengthen Research Skills, hone Writing, Composition and Grammar, practice Reading; measure, mix, and experiment for Science and Math, and use Artistic Imagination to transform a blob into something creative. Thanks to This Week In History, I will stimulate new ideas and pique a genuine interest in learning, while connecting multiple subject areas. This Week In History is a Weekly Resource with cross-curricular content anchored in historical events. It is researched and written by Rachel DeMille. She and her husband, Oliver, as co-authors, have popularized A Thomas Jefferson Education, through their creative writing and sound teaching. Click to read – What is A Thomas Jefferson Education? A Thomas Jefferson Education, also known as TJEd or Leadership Education, is a philosophy and methodology of education. It is based on the Seven Keys of Great Teaching and the Phases of Learning, covering each phase of life from birth to grand parenting. Even though I am new to the concept of A Thomas Jefferson Education, as a whole, I am familiar with several of the Key Principles. After reading, in more detail, I believe that the application of the Seven Keys to any level of education, would dramatically effect the success of learning. Rachel and Oliver DeMille believe that “every person has inner genius. 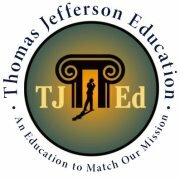 TJEd consists of helping each student discover, develop and polish her genius.” When you browse the website for A Thomas Jefferson Education you will find support, resources, books and videos, games, and recommended classics. You’ll also find a heart’s desire to “help you lead and inspire your students to explore, learn and excel,” when you subscribe to This Week In History. The content is searchable by date, topic and key word, and the archives, for the entire year, are always accessible to subscribers. The subscription cost is $9.99 per month. If I read the background or watch a profile of a football player, hearing about his childhood, parents, neighborhood; struggles, or about his wife and children, I generally feel a humanistic concern for him when I watch him play. When I’ve connected on other levels, I have a strong interest in his game and performance, otherwise, football really isn’t my thing. Similarly, I think This Week In History gives me topics, personalities, and nuggets of history to probe, that help my students connect, via the element of human interest, to math, science, geography and more. My children are engaged and self-motivated to dig deeper and learn more! Please, use the links I’ve provided throughout this post to learn more about this exceptional program. Oliver DeMille has been called a modern-day Founding Father. He believes the proper education of our youth can reverse the decline of America and restore The Republic. As educators, we have the power to change the future! To read what my Crew mates have to say about A Thomas Jefferson Education and specifically, This Week In History, click the banner below. Disclaimer* Access to This Week in History, a weekly online bundle of resources, was given to me free of charge, in exchange for my honest review, as a member of the Schoolhouse Review Crew. I receive no other compensation for my reviews on this blog. The opinions expressed are my own. As always, thank you for your comments. What is King Alfred’s English? Can Vocabulary delight you? Can one be captivated by Linguistics? Have you ever found yourself enthralled by our English Language or beckoned by History? Beginning around 55 BC, in Pre-English Britain, learn of the Celts, and Christian Romans in London, through Old English, Middle English, and A Time of Transition. 1526-1611 AD finds you in The Reformation, moved by the contributions and sacrifices of Wycliffe and Tyndale, during The Making of the English Bible. “The publishing of the English Bible had an unprecedented affect on the development of English.” Meet Shakespeare and Modern English, traveling from 1500 to today. Laurie is articulate and witty, and this book is a pleasure to read! King Alfred’s English is clearly written from a Christian perspective, highlighting the influence of Christianity across countries and continents, through language. It is educational, conversational, and enlightening. Presently, I am reading it as literature, out loud, to my children. In just the first chapter, they were fascinated to learn that the Biblical book of Galatians, which they remembered as a letter written by Paul to the Galatians, was actually written to a group of Celts. The Celts had settled in what is now called Turkey. They were related though, to the Celts in Gaul, and were hence called Gaul-atians. Tidbits, like this, scattered throughout this book, give it irresistible appeal. We are captivated! The Shorter Word.com, Laurie’s website, includes lists of free resources that correspond to each chapter in the book. Worksheets and Tests, along with suggested books and movies, to enhance a setting or time frame, or more clearly define a person of interest, plus website links with additional information, make King Alfred’s English a full semester course. Written for ages 12 – Adult; designed for grades 7 – 12, it’s on our schedule for Fall classes! Christianbook.com has the best price for King Alfred’s English, as of this writing, at $14.89, but you can also find this soft cover book, over 150 pages, at Amazon.com and Rainbow Resource. Laurie would love to hear from you, and you can send her an email with your comments and questions – laurie@theshorterword.com, or visit her facebook page. I hope you’ll also take a few minutes to read what my Crew mates think of King Alfred’s English. Just click the banner below and follow the attached link. I love the English language, even when I have found it frustrating, as I was teaching a child to read or spell. It always seemed to break the very rules I was trying to teach! I have already gained more understanding and a new respect for our language, in light of the multitudinous changes, through invasions, illuminations and edicts, that English has gone through since its inception. It is easier to teach when I know why a word is pronounced one way, instead of another, or where the 100 most common words used in our language originate from. English has such a rich heritage, “linguists estimate that as much as seventy to seventy-five percent of our English vocabulary is foreign,” and King Alfred’s English encourages me to be thankful for every word of it. If you are interested in purchasing this book, I have a code for a 50% discount, good through September 2012, that I will give the first 5 of you that comment on this post. 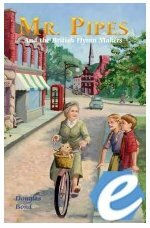 Disclaimer* An e-book edition of this product was given to me, free of charge, in exchange for my honest review, as a member of the Schoolhouse Review Crew. I receive no other compensation for my reviews on this blog. The opinions expressed are my own. I want my children to know how to write intelligent, descriptive sentences, and have a well developed vocabulary. I want them to know how to write great stories, strong essays, and research reports. I want them to have every confidence that they are fully prepared for the SAT/ACT College Writing Exam. A road map would be appreciated! What do I teach? When do I teach it? How do I teach different educational levels at the same time? is like winning an exclusive, one-on-one consultation that answers my questions, and relieves my doubts. In his easy, step-by-step manner, Mr. Dye presents the major writing concept that every student needs to succeed! While he has also written his own writing curriculum, How to Teach the Paragraph and How to Teach the Five Paragraph Essay, he actually gives you the ability and the confidence to organize any writing curriculum into one, workable program. It’s amazing what 54 pages can accomplish! 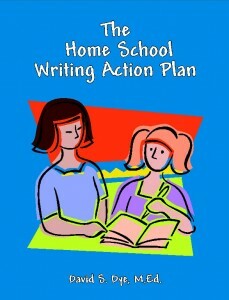 The Homeschool Writing Action Plan can be purchased as an e-book, for $15.95, or printed, soft bound for $19.95. 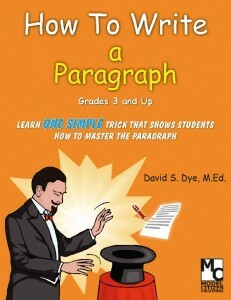 How to Teach a Paragraph is built on one simple writing “trick,” as David Dye calls it, that is mastered by the student. The concept that is taught is foundational to great writing and can be used with every subject. Click the graphic to watch a video demo of the trick. This is working for us! I have seen clear improvement in writing and in some attitudes approaching writing, since using this program. “The ability to organize one’s thoughts and communicate ideas clearly is the backbone of good writing.” Once my younger children fully grasp the trick to writing one paragraph, I think the transition to writing five paragraphs, for an essay, will no longer be intimidating. The difference in my older ones is already notable, and we have barely opened the cover of How to Teach the Five Paragraph Essay. This product has so positively impacted our writing that I am seriously considering acquiring Standard Based Grammar – Home School Edition, too. 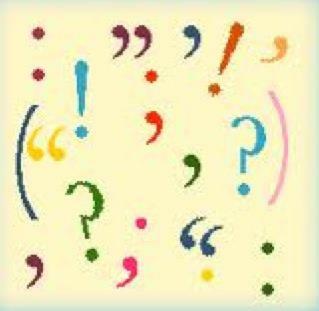 It’s a grammar curriculum written by David Dye, claiming to give a “thorough understanding of the English language.” If you happen to purchase it before I do, let me know what you think of it. Unlike many families I know, including those that homeschool, we continue schooling throughout the summer. We take plenty of breaks during the year, at our convenience, but we do school year-round. I’ve recently added Zane Education, with *The Missing Piece (c), to our summer schedule. Zane Education has “the largest, and most comprehensive fully subtitled online educational video library” compiled to accommodate the requirements of the K-12 curriculum, and aligned to National and State Standards. There are over 1,500 videos, covering nearly 400 topics, provided with lesson plans, interactive online quizzes, and more! Research proves that *The Missing Piece (c) – using subtitles and closed captioning on video – can dramatically improve children’s reading and literacy skills. Once subscribed, you can begin by selecting a subject and then a specific topic to study, according to the access you purchased. [In our house, a Gold Membership allows me to utilize the video library for my elementary; middle and high school aged students, and continuing education for myself, at no additional cost!] User Guides are available and cater to your child’s specific bent. You can also download, and even print, a Lesson Plan Guide for each video. Zane provides a vast Video Word Glossary, and interactive study tools: an Encyclopedia, a Dictionary, and a Thesaurus. When you watch a video, you might notice a couple of the quirks that we found slightly annoying, but not distracting enough to discontinue use of the program. Videos do not play full screen. There are some courses we could work on at the same time, but the viewing screen doesn’t really accommodate more than one person at a time; so, we’re concentrating on individual lessons. There are non-functional button graphics in the videos. I believe they are part of an older system and we just made the choice to ignore them. Print or Pull-from-File the Lesson Plan Guide for your assigned subject. If not already done, put it in a clear plastic sleeve for future use. Read. Look up Glossary Terms ~ write summarized definition; key words, etc. Start video, pause at the beginning of each new page/frame and write down highlighted words that are not listed in your Glossary Terms, then restart video > listen carefully. Look up words and write definitions. Watch video and work on assigned Sharpen Your Skills projects. We found this schedule fairly intensive. We didn’t always complete the vocabulary work on the set day, and often rolled it over to the next day, but the retention of the material has been excellent! Many of my Crew mates made use of Zane in an entirely different way, and it’s beneficial to read their reviews, too. You can click the banner below to do just that. Monthly Subscriptions start as low as $8.99 per Subject, $12.99 per Age/Grade Level, or Full Access – All Subjects – All Videos for $17.99. Yearly Memberships are also available, starting at $98.89 per Single Subject through the Best Value – Full Access – Gold Membership for $197.89. Read their News Blog and follow Zane Education on facebook. Zane Education addresses the genuine need for different learning styles, in our homes and our schools. I encourage you to follow the links I’ve provided throughout this post, and browse their website. You may find that it is the Visual Learning Solution for your child’s needs – whether gifted or specialized, home schooled or public schooled; Summer School, Bridge work, or Full Curriculum. As a “thank you” for reading my blog, I can offer you a 35% promotional discount on the purchase of any annual subscription to Zane Education, available through August 31, 2012. Use code ZE828HSM during checkout, to receive your discount, and leave a comment telling me which subscription you chose. Thanks, again. Disclaimer* A one year, full access, Gold Membership subscription was given to me, free of charge, in exchange for my honest review, as a member of the Schoolhouse Review Crew. I receive no other compensation for my reviews on this blog. The opinions expressed are my own.